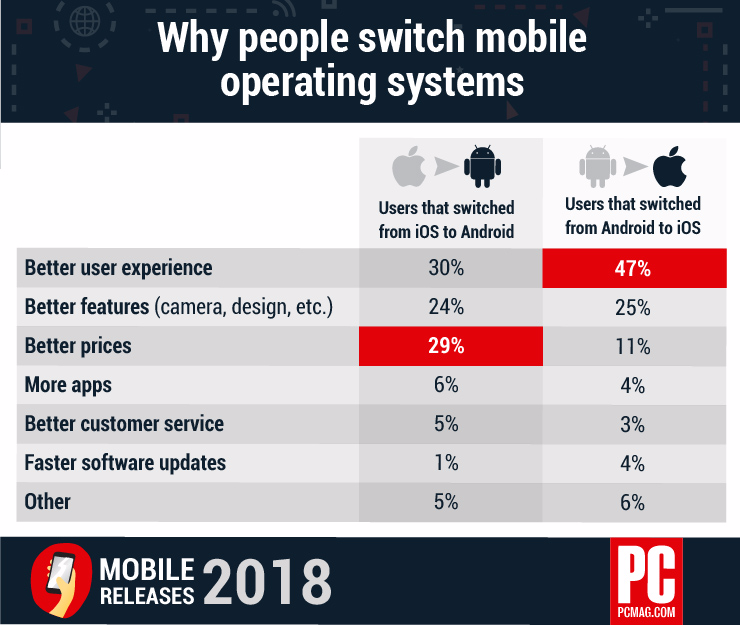 A new survey has been published by PCMag which reveals why most Android users switch to iOS. While the war between the two operating systems has existed from day 1, it mainly depends on personal preference which one is better for you. However, the survey looks at some of the reasons why users make a switch between operating systems. So let’s dive in to see some more details on the matter. Tim Cook at almost every earnings call with investors touts that “switchers” from Android to iOS are a continual source that drives the iPhone growth. Nonetheless, the notion can be implemented for Android’s supremacy as well. Moving on, the survey of 2,500 U.S. consumers was conducted out of which 18 percent switched from Android to iOS and 11 percent switched to Android from iOS. Out of the total sample size, 54 percent of consumers owned the iPhone, 27 percent owned a Samsung device running Android. The majority of smartphone users who have switched mobile OSes—18 percent—went from Android to iOS. Only 11 percent went in the other direction. (We didn’t ask about Windows Phone or BlackBerry.) Naturally, the other 71 percent haven’t switched because, you know, cold dead hands, and so on. It was stated that 47 percent of consumers who shifted from Android to iOS was for a “better user experience”. 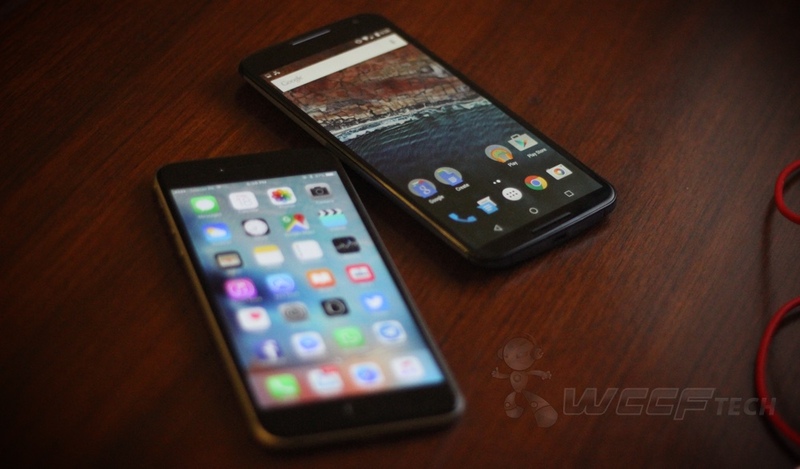 30 percent of iOS to Android switchers stated their transfer for the same reason, ironically. 29 percent of consumers stated that they shifted from iOS to Android because of “better prices”. 6 percent of iOS to Android switchers stated that the latter offered more app choices. Moreover, 6 percent of users also suggested that Android offered “better customer care”. Some other nuggets from the same survey: When we asked people who’ve made a switch or are considering switching, most said they don’t care about the new release of a smartphone (56 percent). Thirty-four percent buy a newly released phone when their contract is up, and 17 percent purchase a new phone only when they break the screen on their current phone. In fact, when all respondents were asked how often they replace a phone, over half (53 percent) said they replace a phone when it breaks. As we have mentioned earlier, there are several reasons why an individual would make the switch. It could be the price, availability of apps or the overall user experience that attracts individuals to make the shift. There will be more to the story, so be sure to stay tuned in for more details. Check out the table for more details. This is all for now, folks. What are your thoughts on the Android users switching to iOS or vice versa? Let us know in the comments.